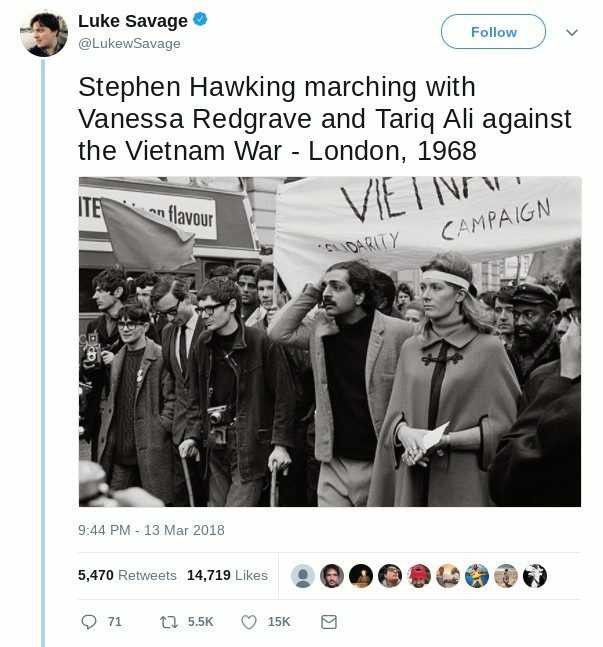 FACT CHECK: Stephen Hawking at a Vietnam War Protest? Stephen Hawking at a Vietnam War Protest? An image misidentifying a man at a Vietnam War protest as Stephen Hawking went viral after the theoretical physicist's death in March 2018. A photograph shows Stephen Hawking at a Vietnam War protest in 1968. This image has been mislabeled as a photograph of Stephen Hawking for several years. The version of this image available via the National Portrait Gallery, for instance, identified the man with the canes as Hawking. Photographer Lewis Morely, who captured the image, also identified this man as the world renowned physicist. Sad that Stephen Hawking has left us…he opposed the Vietnam war and the genocidal adventure in Iraq. BUT he is not in the 1968 demo pic. Repeat NOT. An illiterate caption by the National Portrait Gallery has created this myth. Wish it was him but it iosn’t so please no more emails on my FB regarding this….. Apologies and thanks for pointing this out. The individual was previously mistakenly identified as Stephen Hawking by the photographer. However, we have since discovered that this is incorrect. Our website will be updated by midnight tonight. The 1960s ended with Hawking being forced to make a concession to his physical condition. After a great deal of persuasion from Jane and a number of close friends, he decided to abandon his crutches and take to a wheelchair. To those who had watched his gradual physical decline, this was seen as a major step and viewed with sadness. Hawking, however, refused to let it get him down. 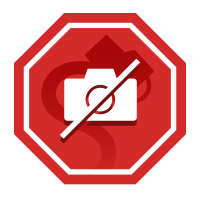 Although the acceptance of a wheelchair was a physical acknowledgement of his affliction, at the same time he gave it not the slightest emotional or mental endorsement. In every other way, life went on as usual. And he could not deny that it did enable him to get around more easily. Never giving in to the symptoms of ALS more than he is physically compelled to is all part of the Stephen Hawking approach to life. As Jane said, “Stephen doesn’t make any concessions to his illness, and I don’t make any concessions to him” That seem to be the way he has survived against the odds for so many years and also how Jane managed to remain sane living with him. We have so far been unable to track down the identity of the misidentified man. Pegasus Books. 15 January 2016.